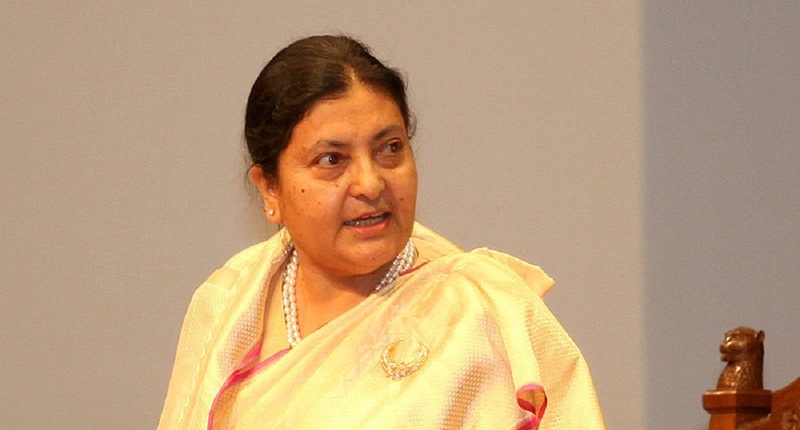 Qatar – President Bidya Devi Bhandari is returning home this evening after concluding a four-day official visit to the State of Qatar. President Bhandari arrived in Qatar on Monday leading a delegation at the friendly invitation of Amir of Qatar Sheikh Tamim bin Hamad Al Thani. President Bhandari held a meeting with the Qatar Amir. High ranking government officials of Qatar had called on the President. The Head of the State also visited various places and heritages in Qatar. The high-level team of officials accompanying President Bhandari in the visit is also returning home with her. Qatar’s minister and Nepal’s ambassador to Qatar Ramesh Prasad Koirala are scheduled to see off the President at the Hamad International Airport, the Nepali embassy here stated.